SPIRO has added a new colourway to its popular S177M&F Team Spirit Polo. 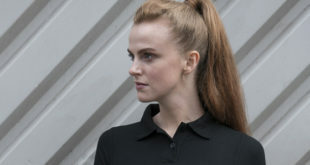 Now available in a new flattering grey/lime, the S177M&F Team Spirit Polo Shirt is a top performing polo and is the ultimate in stylish, functional design. 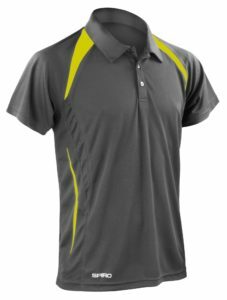 It has been manufactured from Cool Dry mesh fabric, a premium lightweight, soft and highly breathable fabric that will keep the body cool and comfortable at all times. 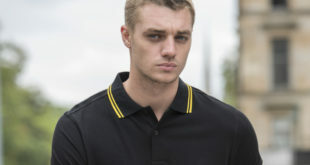 The polo is available in a men’s style in sizes S-4XL and in a ladies version in sizes 8 (XS) – 16 (XL) in seven colours. Decoration access is open and decoration process is transfer print and embroidery. SPIRO’s S179M&F Micro Lite Team Pant is water repellent, breathable, lightweight and anti-static for ultimate comfort and protection out on the green this spring. With a mesh lined inner the S179M&F Team Pant features ventilation panels in sweat zones to keep the wearer cool during intense workouts, while a drawcord waist with elastic waistband gives flexibility of movement. An active sport fit will enhance performance, while an ultra-reflecting SPIRO print logo provides added visibility. The S179M&F Team Pant is available in sizes S-2XL in men’s and 8-16 ladies cut, both in six co-ordinating colourways. Decorators access points: One layer only. Decoration process: transfer print or embroidery.